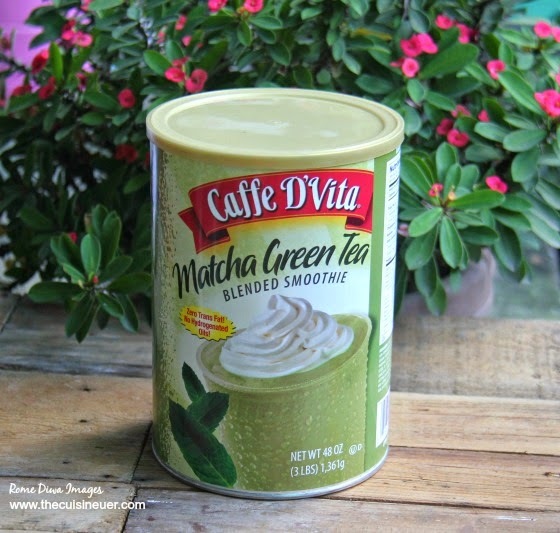 I was a bit saddened when I found out that Cafe D'Vita's Matcha Green Tea was not pure ground Japanese green tea powder but with mixture of creamer and sweetener. My plan to eliminate sugar and dairy in my diet after the holidays was compromised but I just can't simply give up my "Matchamania", so I bought it. Let’s check the label. Ingredients includes sugar, coconut oil, corn syrup solids, natural and artificial flavors Matcha green tea, and many more. Good thing that the creamer is non-dairy plus it’s gluten free, zero trans-fat and no hydrogenated oils! Regardless of its high calorie and carbohydrates contents, Matcha Green Tea is touted as superior antioxidant, detoxifier and energy booster.It's a healthy beverage which help the body fight off infection and disease. It is also reputed to reduce stress 100% natural skin care super food, and help weight-loss. 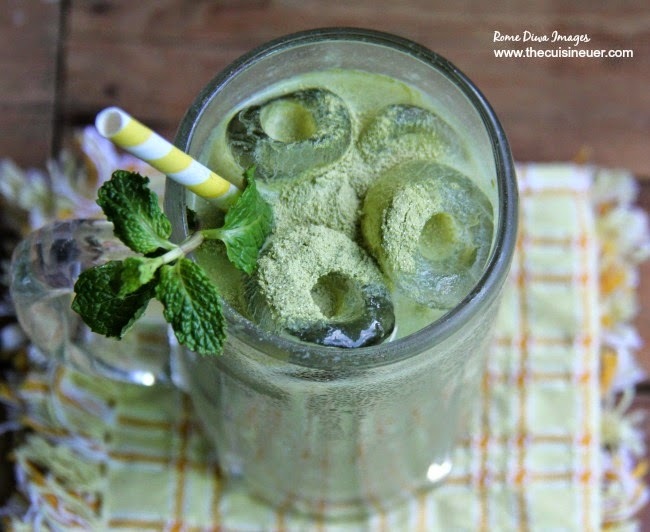 Whether hot or cold, iced, smoothie or latte, an emerald green mug of matcha tea can give your health a real boost and its under 5 minutes to prepare. 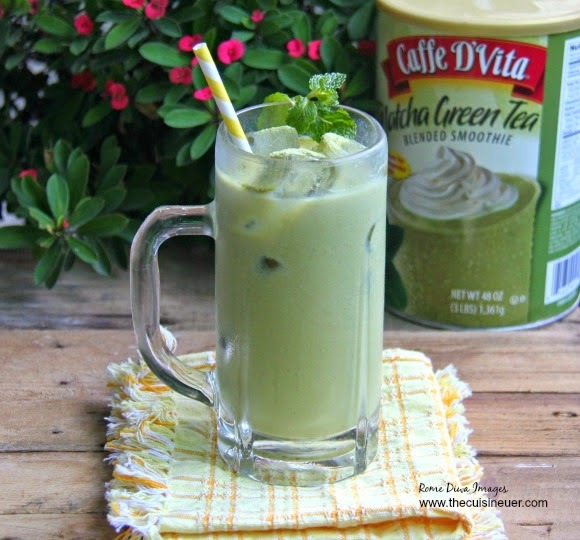 Ratio is 1 cup of water = 8 oz Cafe D'Vita Matcha Green Tea. For a larger serving like mine, I put 16 oz. 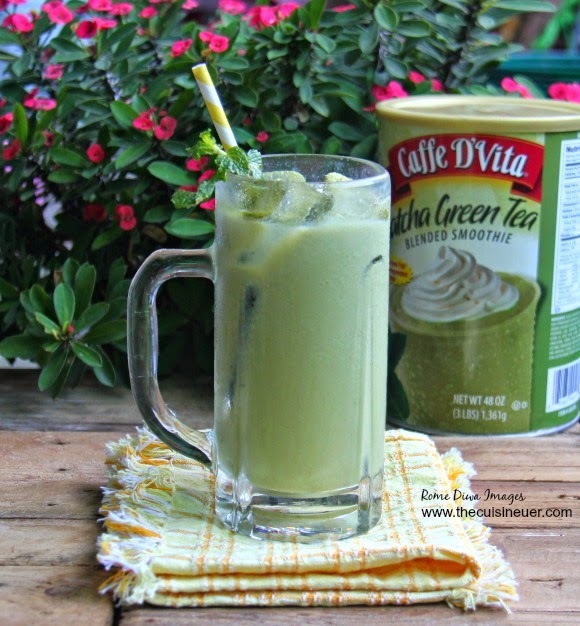 or 2 scoops of Cafe D'Vita Matcha Green Tea, 1 cup tube ice, and 1 cup filtered water. Of course you can add more or less to suit your taste.